Hey there! It’s been a minute. Summer Jacinda and Summer Jaime have been living it up. Here’s what I was up to last week. First: a little background: I am 38 years old. I have several sisters and brothers, the youngest of which is Rachel. She is 20 years old and studying to be a veterinarian. She works her booty off in school and I am busy mothering and such, so we don’t get to spend as much time together as sisters probably should. When we both had a week off this summer, we decided to take a trip. It was her first visit to Europe so we made a mad dash through several cities via the train (thank you Rail Europe) from London. 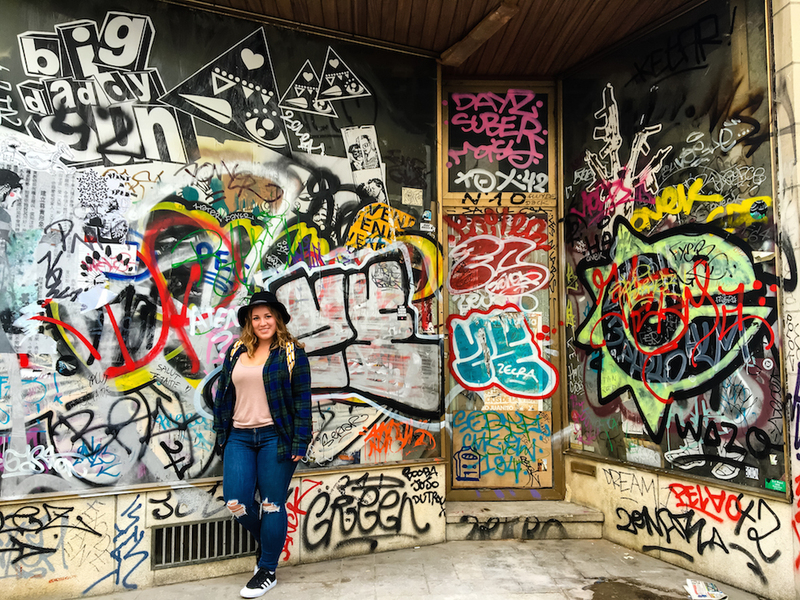 I warned her about jet lag, the stress of seeing so much and walking so much, blah blah blah none of it mattered, she basically was like a veteran traveler after 5 minutes on the ground – figuring out train schedules and conquering jet lag like an old hand. 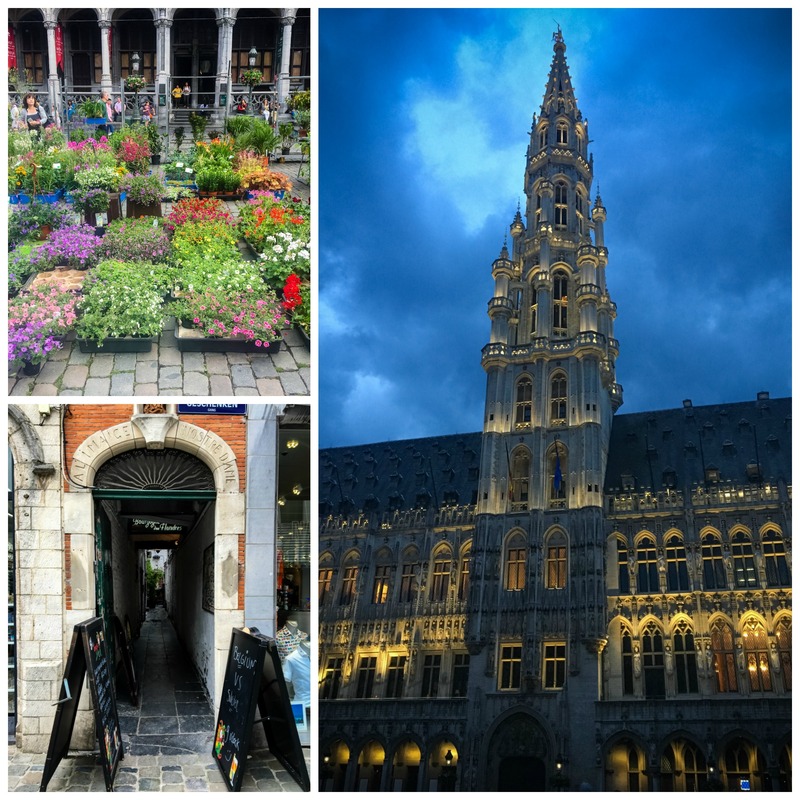 Our first stop after leaving London (1.5 hours on the eurostar) was 24 hours in Brussels, Belgium. Here’s how to get the most out of your short stay in this charming city. The Hotel Des Galleries is perfectly located in the city center on this charming little walk street. The hotel is perfect in it’s elegant design, and has a lovely restaurant and wine bar right in the Galeries Royales Saint-Hubert. 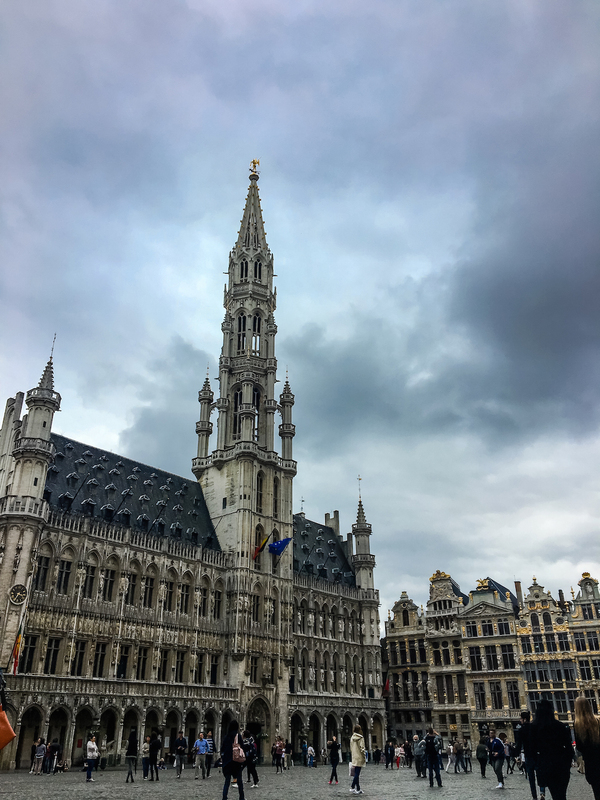 After you check in, the first thing you will want to do is take a short walk to the Grand Place to admire the architecture and soak in the vibe. Here is Rachel and me in front of the stunning Guildhalls. You can stop by the tourism office on the square for a free walking tour (ask for the times at the desk), or you can pay 40 euro (plus tip) for a horse drawn carriage tour, which we did and was totally worth it. You’ll learn about the buildings of the Grand Place and tour a bit outside the city center. 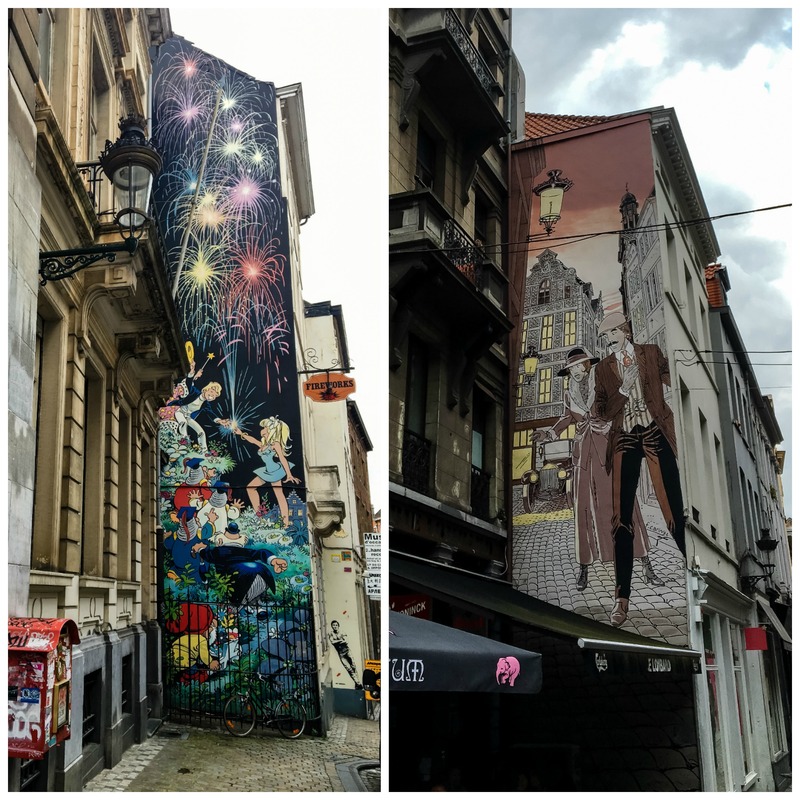 I was fascinated to learn about Brussels’ history of comic strips, which are memorialized in several murals throughout the city. You will also learn from your guide about the terrorist bombings of March 22, 2016. This graffiti touched me. 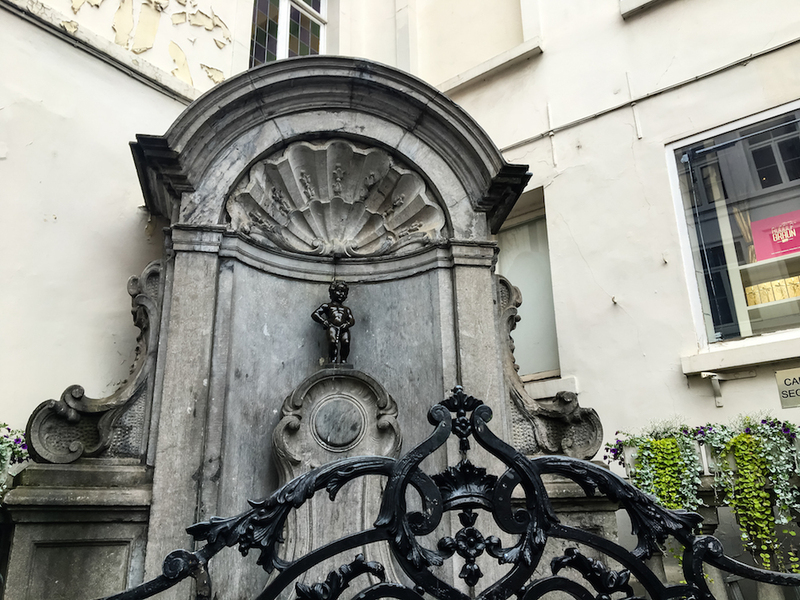 And of course you will see the famous Manneken Pis. 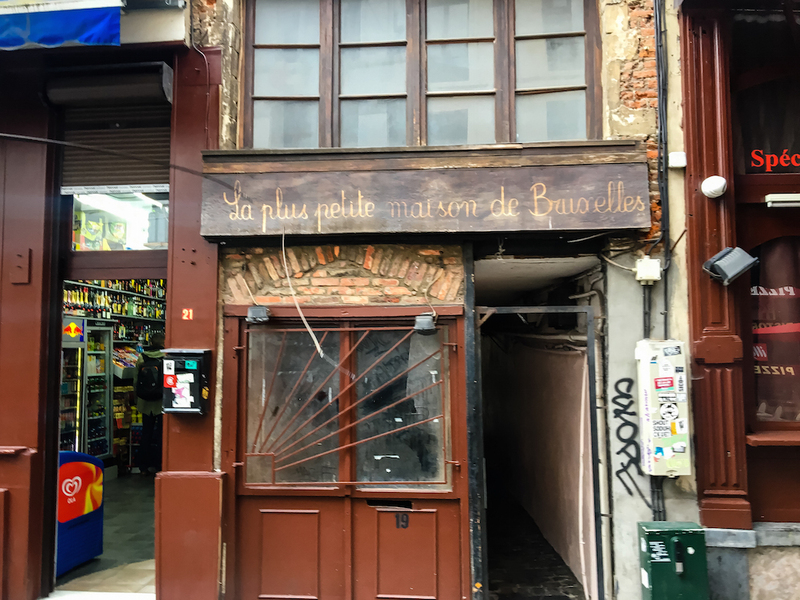 It’s smaller than you think, but it’s a must see when in Brussels. Blink and you’ll miss the smallest house in Brussels. After your tour, stop at a cafe for a Belgian beer and some seafood. 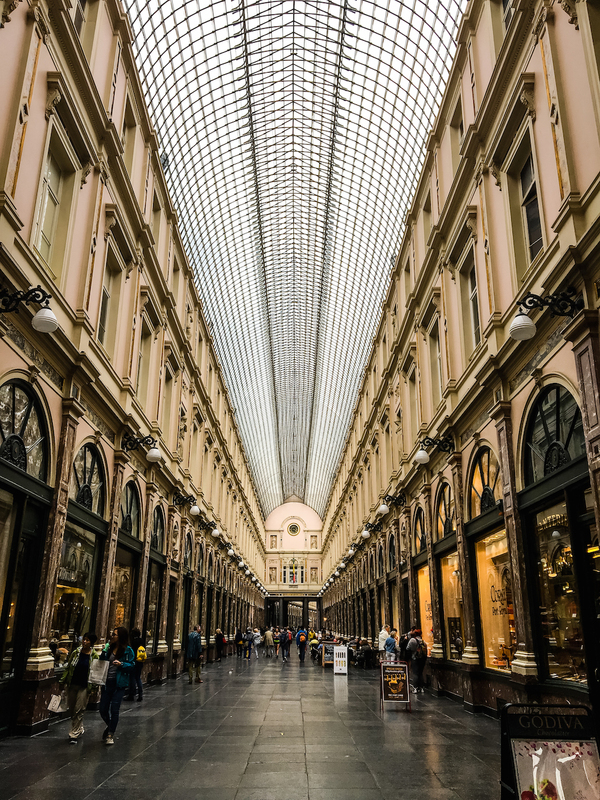 Then take a walk through the beautiful Galeries Royales Saint-Hubert, a shopping arcade dating back to 1847. You will want to bring home some chocolates – you can even take a chocolate tour. 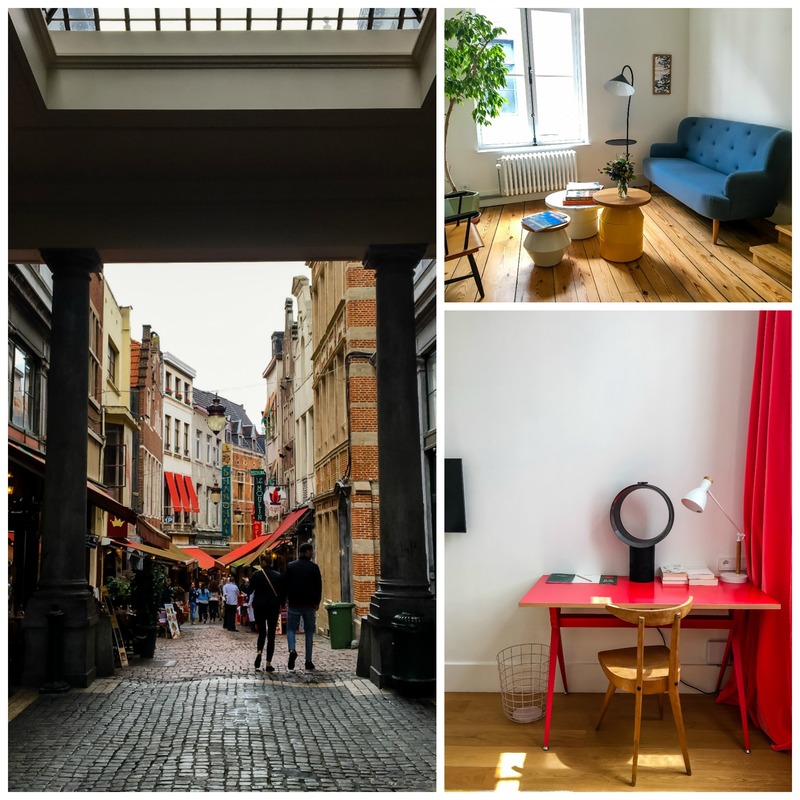 The Belgians I know recommend Pierre Marcolini, which you can find in the Galeries and a few other locations around the city center. It’s spendy, but worth it. You can also arrange a chocolate tasting tour – there are many, many, many chocolates to be had. Make your way back to the Grand Place, taking note of the spring flowers and doorways to secret gardens. You will want to watch the sunset and see the buildings light up in the dark. In the summer the sun won’t set until almost 10 pm, giving you plenty of time to have some wine or more Belgian beer on the square. Find a local shop and have a late night Belgian waffle. The topping options will overwhelm you, I suggest going with crumbled Speculoos – the famous cinnamon and ginger Belgian cookies. So good. I would have taken a picture but my sister and I ate the whole thing. Get a good night’s rest and wake up with a delicious cappuccino. 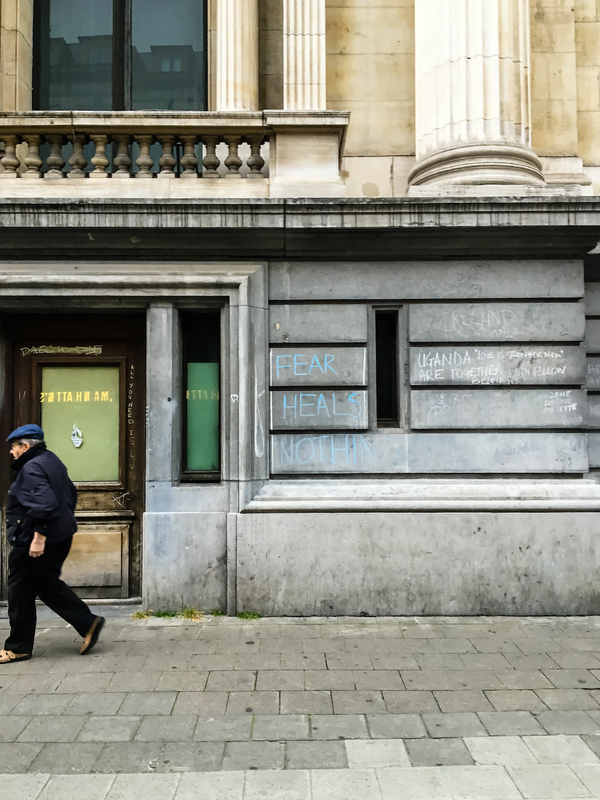 In the morning, walk to the Magritte Museum by way of the Brussels Library. At the top of the stairs you’ll enjoy this lovely view. The Magritte Museum suffers from not having his most famous works on hand, but it is still a must to learn about this Belgian artist while in Brussels. 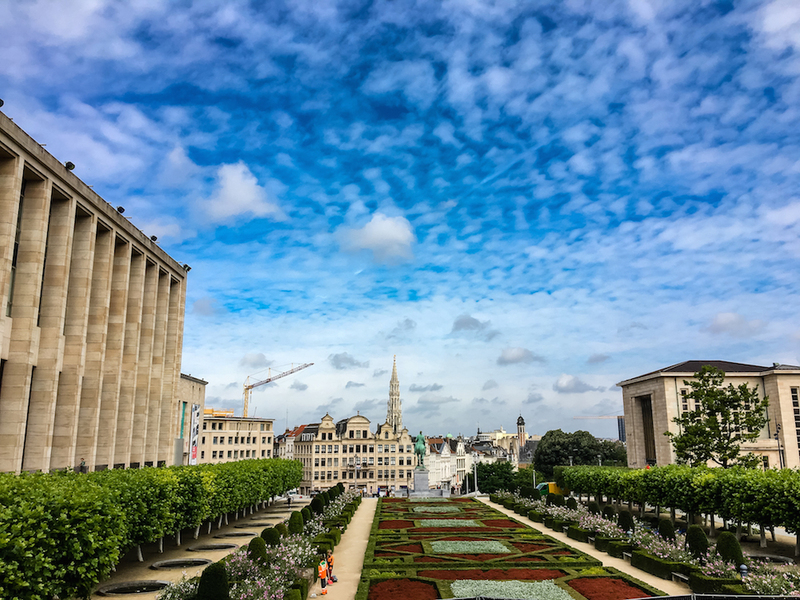 The museum will take less than an hour to experience, then walk next door to the Royal Museum of Fine Arts Belgium for an immersive tour of the paintings of the old masters and a few modern works as well. 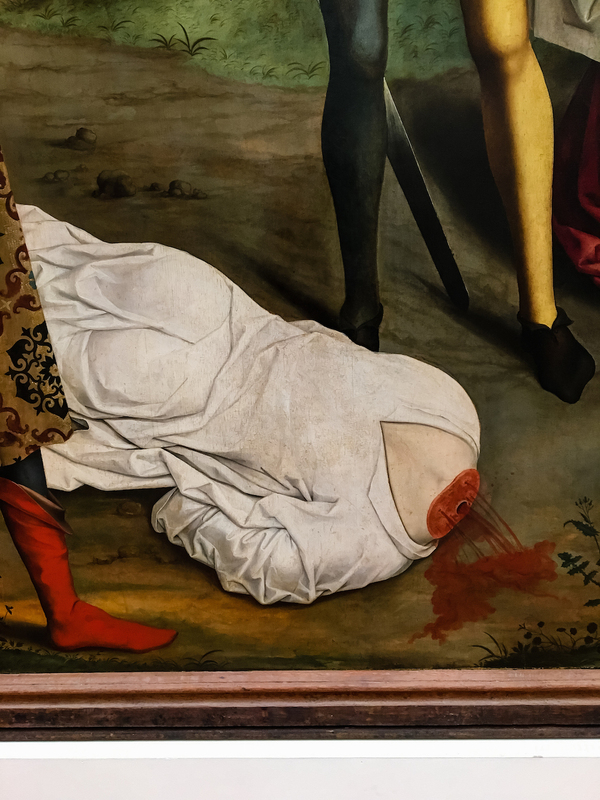 Don’t ask me why I snapped a picture of this Dirk Bouts. It should be obvious. From there, if you have time, stop into the Musical Instruments Museum before walking back to your hotel. 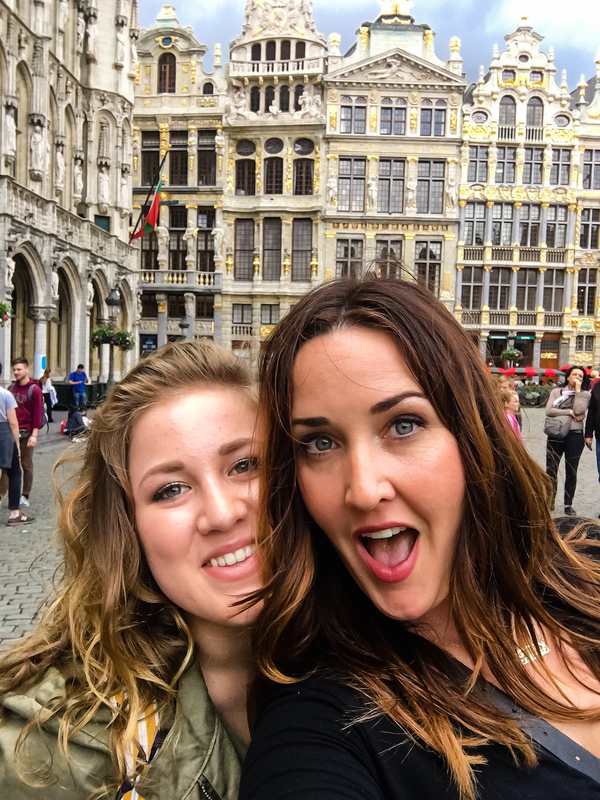 Finish up your 24 hour visit to Brussels with a selfie and some frites in the square before grabbing your bags and heading to the train. I just found your blog, and be sure I will follow it! Pics are gorgeous and what about your text! So inspiring! As we say in french: Bon Voyage!